? 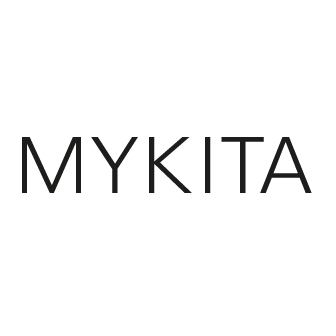 ?The unique shop architecture – developed by MYKITA itself – is based on the progressive composition of different room elements and contrasting materials. It is a marriage of ready-made objects removed from their original context, combined with purpose-designed furniture and a stage-like lighting concept. The result is an art installation with a bold and minimal construction that retains the original character of the locations. REPRESENTS THE CREATIVE CORE OF THE MODERN MANUFACTORY. THE EPONYMOUSLY NAMED EYEWEAR LINE IS A SHOWCASE FOR HIGH-FASHION CONCEPTS – UNCOMPROMISING DESIGNS THAT REFLECT THE AESTHETIC ZEITGEIST. CONCEIVED AS A DESIGN SERIES, EACH NEW INSTALMENT STARTS WITH A CLEAN SLATE. WITH NO EXISTING RESTRAINTS OR COMMITMENTS MYKITA STUDIO ILLUSTRATES A MOMENT IN TIME. A CENTRAL IDEA PURSUED TO ITS CONSEQUENT, PHYSICAL MANIFESTATION.